Looping video background on the front page is quickly becoming popular. With top sites like Airbnb, PayPal following the trend; demand for looped and time-lapse video are high in demand. One question we get asked quite often by our users is, Where can I download free, good background videos to use on my website? The answer to this question is not easy as it seems since you can’t just download any video and use it on your website. You have to respect the copyright rules and regulation and make sure you are not violating any rules. You can create your own video or hire an agency to create a video for your website, but it would be expensive. 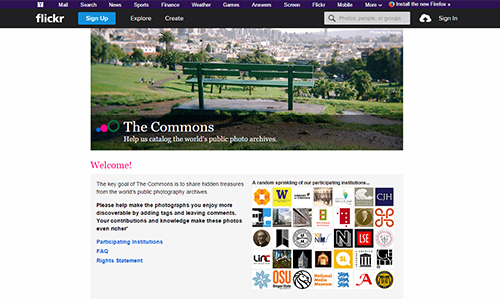 Another solution would be to find public domain videos or use videos which are released under Creative Commons license. There are different types of Creative Common license. Check out the below chart to find out which of the licensed content is safe to use on your project. 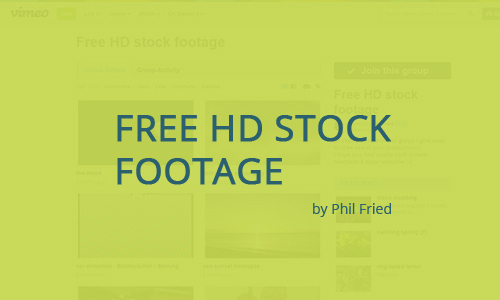 We’ll explore some of the best free stock footage or video sources in this post. 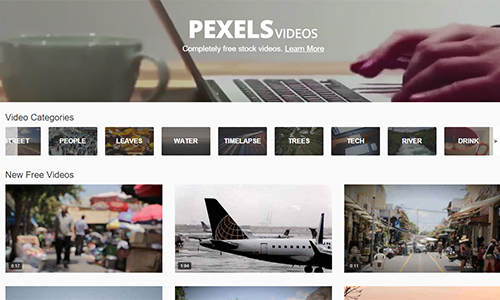 Pexels has a huge collection of quality CC0 license videos, which you can download free and use it as your landing page video or in any commercial projects. Despite being free the quality of their video is brilliant. If you want to get a weekly digest of their recently released video, subscribe to their mailing list. 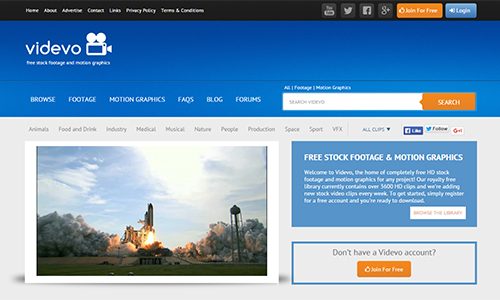 Videvo founded by Tom Limb, has a huge library of free stock videos and motion graphics. 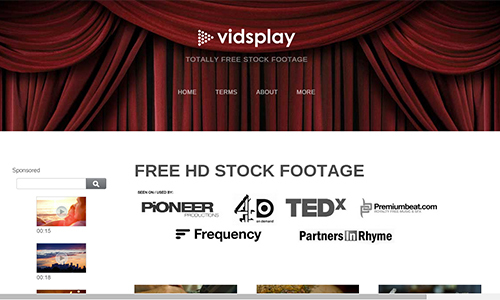 Currently, they have over 3600 HD video, it’s steadily growing and becoming one of the go-to websites for stock videos. Coverr is a joint initiative between two startups Veed.Me & CodersClan. 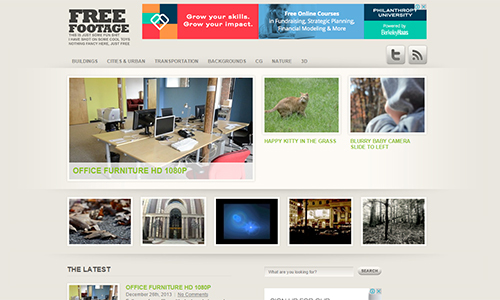 They have a growing library of free videos which you can use a website background. Every Monday they add 7 new videos which they especially shoot for Coverr. 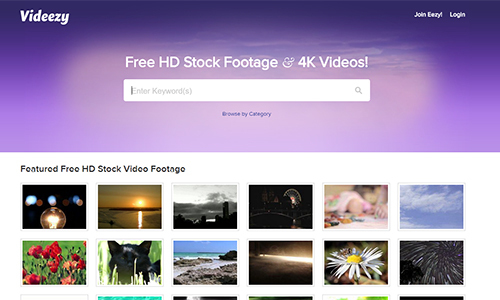 Videezy is another place for quality video stock footage. They have over thousands of free videos for you to choose from. 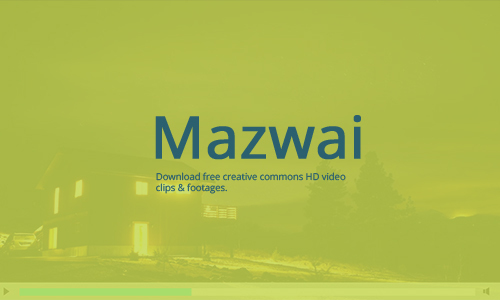 Mazwai has some great collection of slow motion and time lapse videos which can be an excellent fit for your website homepage background. 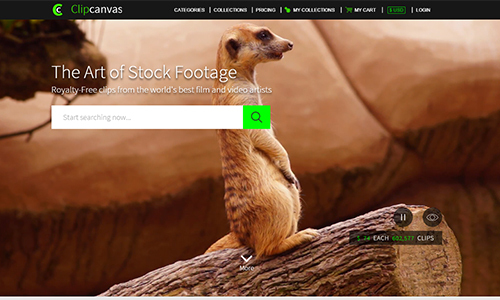 As their website states, they have a “ never-ending library of stock footage”. 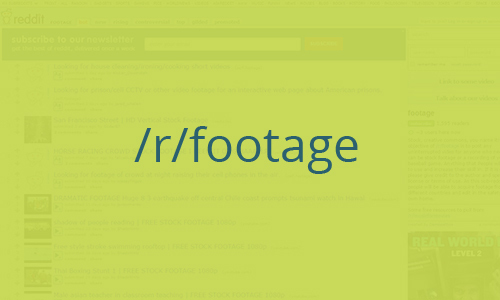 They have a vast library of free footages. 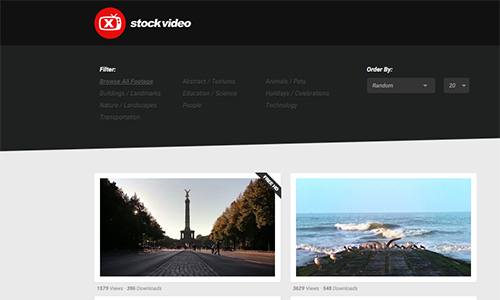 X Stock Video has a nice collection of free videos available for download. Videos are extensively categorized and you can even sort the listed videos by popularity, download and date. 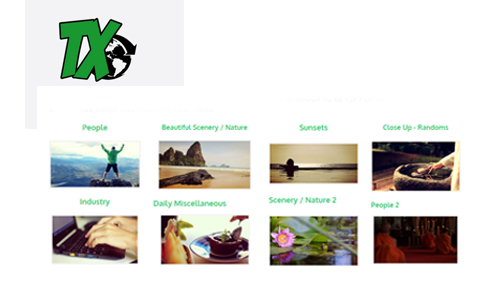 Plixs has a fair amount of CC0 images and videos listed on their site. You can search videos by keyword and sort them by popularity and date. 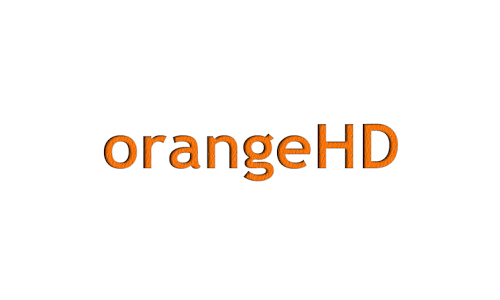 Free HD Footage offers a quite a good collection of free footages. 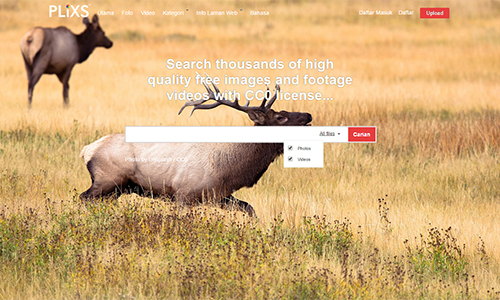 Videos are neatly categorized and no registration is required for downloading the videos. 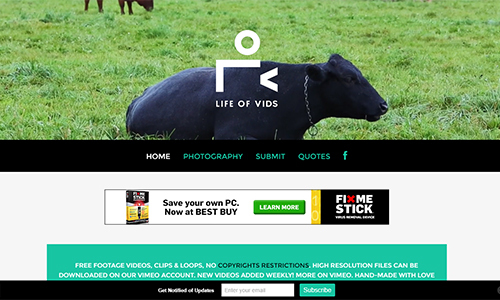 Every week Vidsplay adds new royalty free video loops to their directory. They have a moderate collection of videos till date, but they are not categorized. 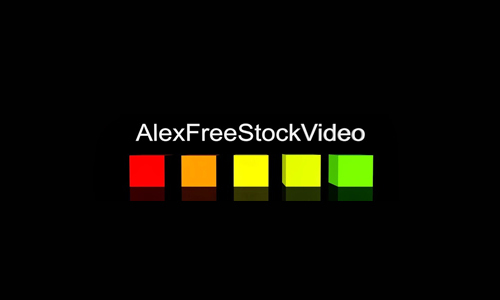 Free stock videos created by Montreal based advertising agency Leeroy. 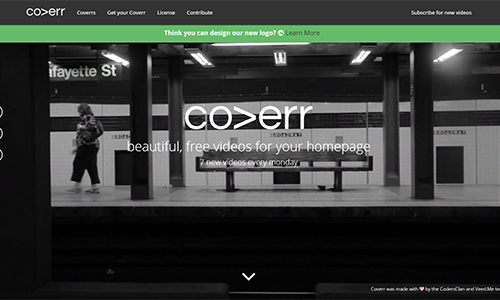 Curated free videos for your projects. 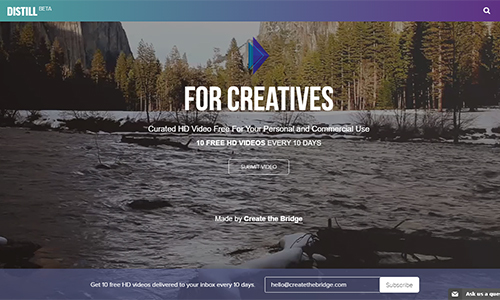 An initiative by Create the Bridge, they add 10 new videos every 10 days. Fancy Footage Club has some high-quality videos listed on their site, but the collection seems fairly limited. 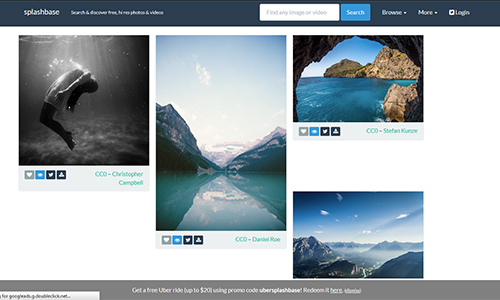 Splashbase is a search and discovery platform for finding free stock images and videos. Open Images, an initiative of the Netherlands Institute for Sound and Vision in collaboration with Knowledgeland. Videos & pictures shared under Creative Commons Attribution 3.0 Unported License by traveler Tania and Yuri. Clip Canvas has some free videos listed in their free section. 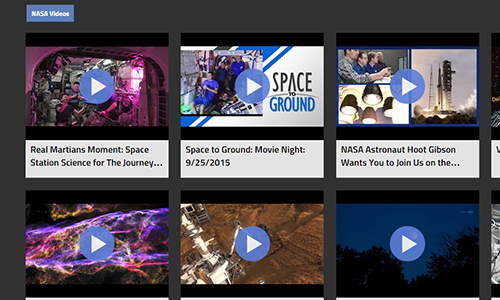 Videos hosted in NASA Galleries are available for download and can be used in educational or informational purposes. This permission only extends to personal Web pages. A Vimeo group created by Phil Fried, filled with some pretty amazing footage. YouTube channel created by Alessandro Zavattero, filled with hundreds of free footage and videos. 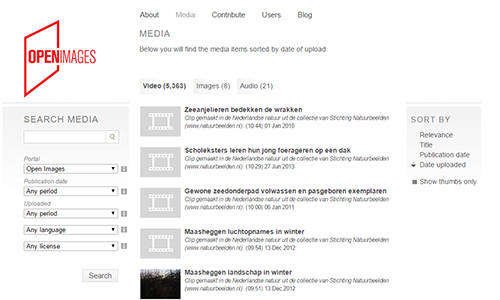 Video footage about nature available for both for commercial and non-commercial use. A subreddit dedicated to finding stock or creative commons videos. It’s a pretty active subreddit, If you look around you may find some hidden gems here. Another subreddit devoted to finding royalty free video footage. A project by Michael & Chris, where they release free stock footage for professional and amateur filmmaker, video editor. 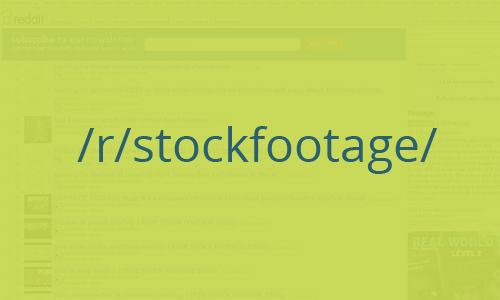 Free of charge royalty free stock footage curated by a filmmaker, Mitch Martinez. 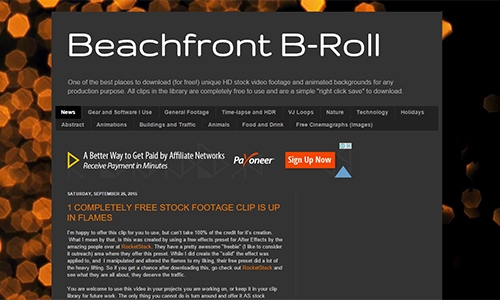 You can download any videos for free and use it on any commercial or non-commercial projects. Let us know if you know any awesome sources we missed in the comments below; if they’re really helpful we will add them in. Also, checkout our recently published well researched article on the best Free WordPress Themes of 2017 which is updated regularly. Videvo pulls some pretty spammy tricks: says the video is free, if you just first post about it to FB or Twitter. So I gave in and did that — and then was required to sign up for an account! And it gets better — signing up for the account took me off the page where I at least *thought* I was about to download a clip. So I never got the clip, and now I have to extricate myself from their email list. AVOID. Wow, it gets even worse with Videvo — after submitting to the social media share, AND signing up for an account, now if I finally try to download 1 video, it sends me through that same gauntlet again. This is a spam site which shouldn’t be listed here. Patty – just to clear some things up here. Sharing on Twitter/Facebook is optional, you are in no way obliged to do this. Everything is free on the site, it takes less than a minute to register, and if our users want to share then great, if not no problem – I see nothing spammy about this. 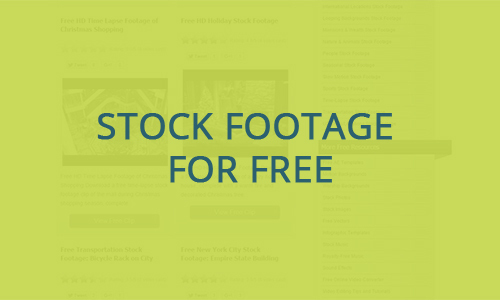 An excellent list of free stock videos! I’ll be using some of these in my projects. Thanks for putting together this post! Thanks a lot for sharing Videvo guys! I just want to mention I’m newbie to blogging and site-building and truly savored you’re web page. Likely I’m going to bookmark your website . You certainly come with very good writings. Thanks a bunch for sharing your web-site. Thanks for this wonderful list of websites. You may also add one more site which provides really good quality of such videos.. Thanks for the great list. I would also recommend MotionElements if you’re looking for a great free source with 4K/HD videos, animation, after effects templates, 3D footages and lots more!